“This shop is part of a social shopper marketing insight campaign with Pollinate Media Group™ and Wet-Nap but all my opinions are my own. There's no getting around this heat. 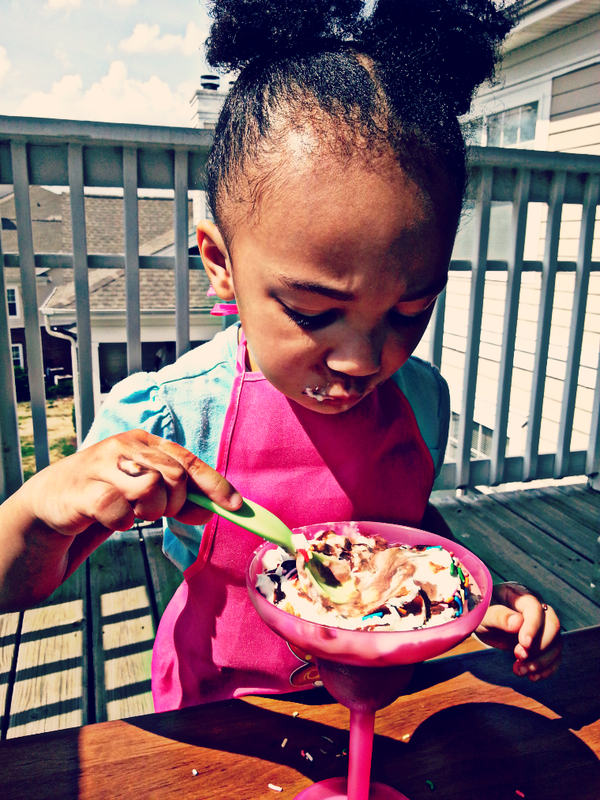 Enjoying ice cream on a sunny day can be a messy experience, especially if you have a toddler. This weekend, we decided to celebrate our first full month in our new home by having an ice cream party. Much fun was had. But a huge mess was created in the process. 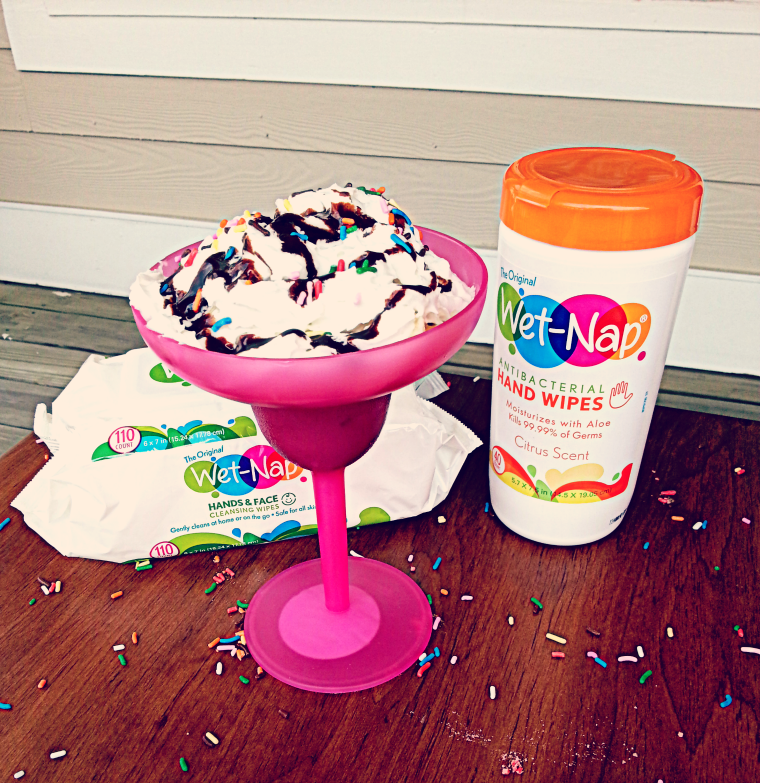 Because I'm no stranger to messes, before even purchasing the ingredients for our party, I stocked up on Wet-Nap. I suppose two years of parenting will teach you to cover all your bases first. Of the three of us, Little J had the best time. We set up on the balcony so we could soak up the sun and have a yummy break in the process. Cue the melting of the ice cream. Even though we had bowls, it was still a messy experience. 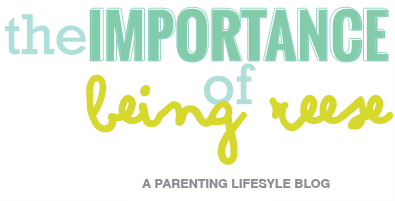 But the other thing that motherhood has taught me, is that most times, the messiest experiences are typically the ones worth remembering. 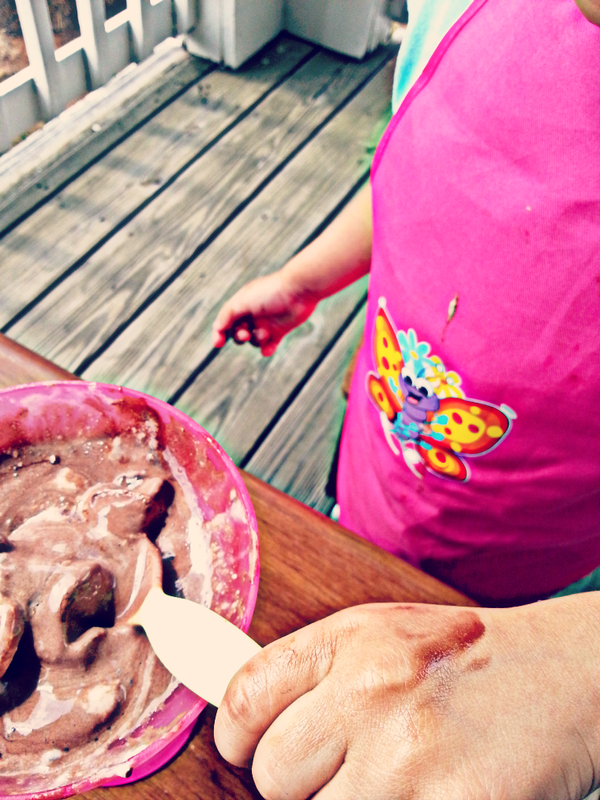 We've decided to make ice cream parties a normal part of our summertime routine. With a view like the one we now have, we'd be crazy if we didn't. Especially if the clean-up process is as easy as it was this time around. 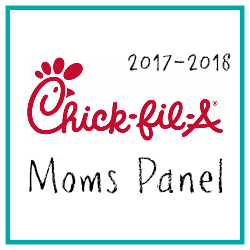 Which brings me to the final lesson that motherhood has taught me, when something makes your life easier, buy it in bulk-- especially if there is a sweet coupon to go along with it. So, before you head out to the stores to stock up on your spring and summertime sweets, be sure to print out this coupon to and save $.55 off your next Wet-Nap purchase while supplies last. As the queen of all things frugal, I picked mine up at Walmart, where the prices always low. So be sure to check out your nearest Walmart for Wet-Naps. As a thank you for tuning in to my families latest shenanigans, enjoy this free 8x10 printable for your next ice cream party! 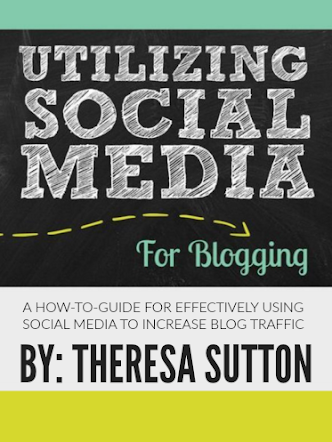 Click on the Download button below to print the large version. Enjoy! Click here to download the 8x10 version. It was insane...insanely tasty that is. My stomach was done after this, but it was totally worth it! 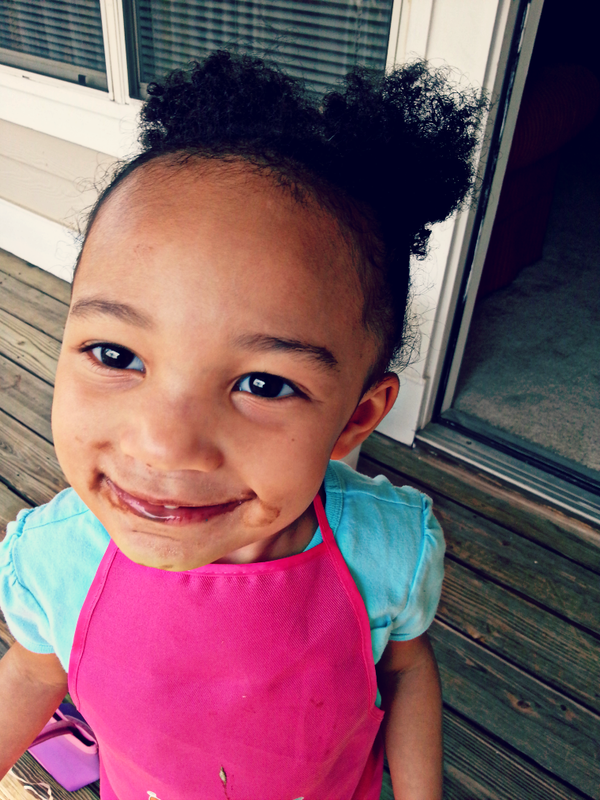 My little girl is sitting with me while I play catch up on blogs and she cannot stop talking about this ice cream! lol, at the time, my daughter was sitting next to me as well begging for more ice cream. Apparently all kids think alike! Look at that smile! That sundae was almost as big as she is! 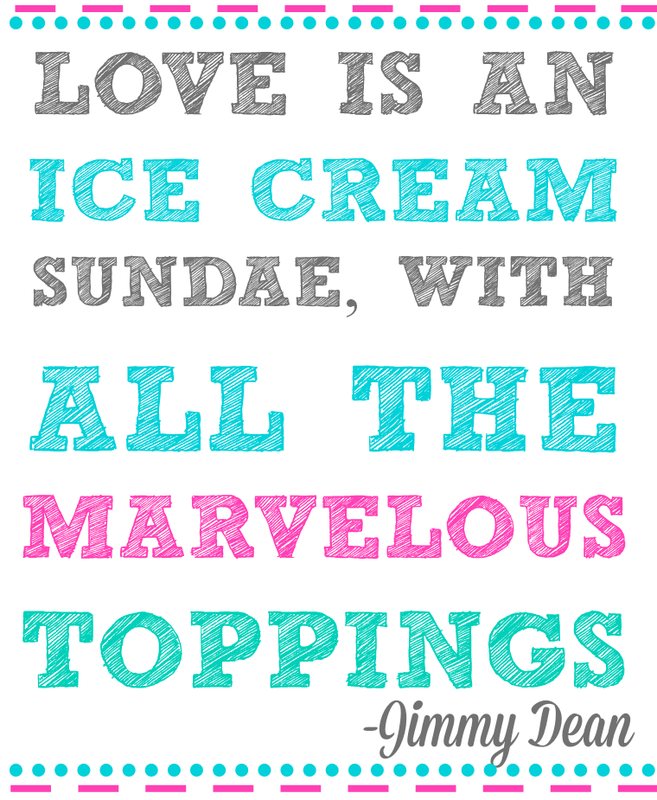 Jimmy Dean couldn't have been more right. Heaven knows I feel loved when I'm devouring a carton of ice cream. LOL. 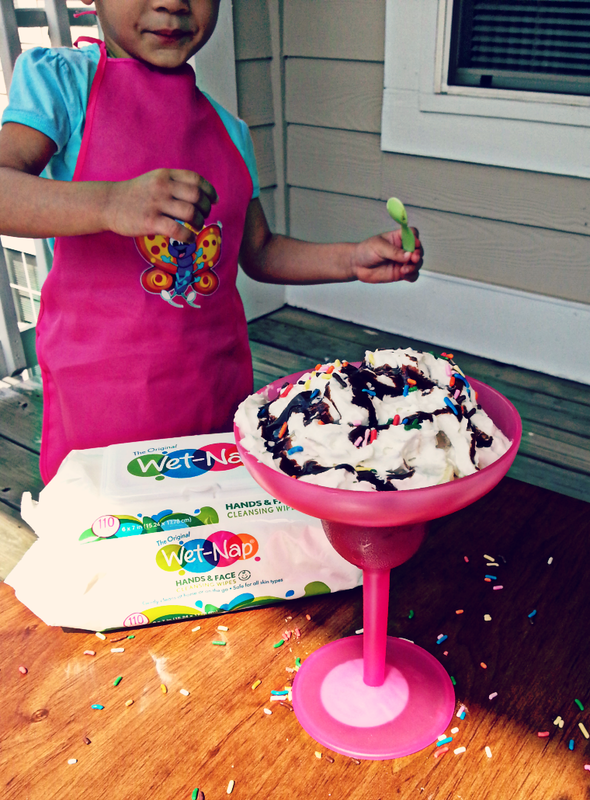 Hope you guys enjoy your summertime ice cream parties and don't get too messy in the process!